More than 70% of consumers come to the companies which sites are on the first pages of search systems. Advancement in TOP-10 search engines includes as work with information filling of a site and its head fields, and work with other resources, references from which are necessary for your site to enter in TOP-10. Advantages of site optimisation are obvious - you receive a free stream of clients from search engines (for Russia it is Yandex and Google, for western market other search systems), and these clients already have certain level of trust to your company. Anti-recessionary tariff (not more than 10 keys) - Conclusion of your site in TOP-10 practically for the cost price. Monthly payment 5500 rbl./month (~$200) for actual expert work and fee for resources placing the information about your site(If it's necessary). The technology of our work absolute transparency and allow 100% possibility control for expense of money. Why Anti-recessionary tariff is favourable? Credit tariff - payment after conclusion your site in ТОР-10. 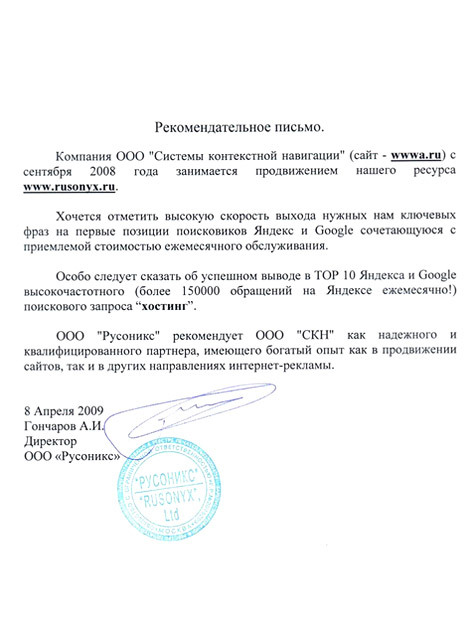 All is simple: We count cost of advancement in Yandex or Google and we sign the contract. At the moment site enter in TOP-10 you pay cost of enter for each key phrase by the contractual price once . Further payment go by results of a month - You pay only those days when your site was in TOP-10. The basic advantage of this tariff - 100% guarantee results of your financial investments. Stored in years experience allows us to declare - We know features of search systems, we watch changes in algorithms of their work and we use only white methods of advancement!